I headed to Austin last weekend and had the opportunity to run a few errands. By errands, I mean a side step for a bit of shopping.😍 Of course, I made a run to the Domain and a trip into Nordstrom. Oh, how I enjoy this beautiful store. I love every department and the help is always attentive and knowledgeable. I am still one who enjoys strolling through the stores, touching, smelling, looking and feeling all the joy shopping brings me. One stop I usually make is the Mac counter. I love the eye shadows from Mac better than any other shadows. I love the way they go on and I love the creamy feel, yet powder base they are created from. They are so easy to blend with a great Mac brush. I also love the abundance of colors. I wanted a new fall look and something different all together. Just ready for a new, fun look….perhaps outside the box! I trust the girls that work there to help me. They are not just interested in the sale, they are invested to give me the best look for me. Win! Win! I always change my makeup as the weather changes. The shadows, lipstick, and even moisturizer changes from the lightweight and bronzed look I like in the summer. As it gets cooler and the clothes get heavier, my makeup colors change too. I embrace the deeper, richer colors and look forward to the look. Just like with my clothes, I enjoy changing it up to keep my look from getting boring……..how about you? 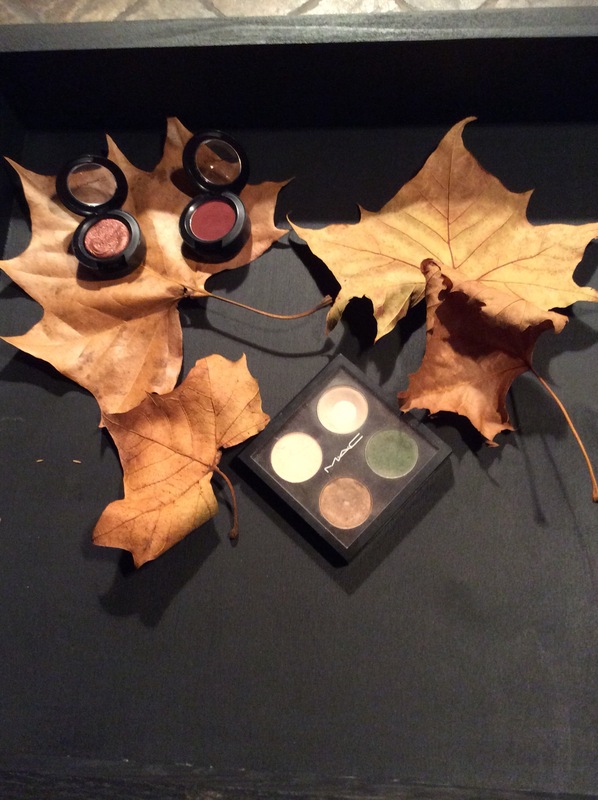 If you have never tried Mac shadows, I will always suggest them as ones to try and see if you don’t just fall for them. No matter how many other shadows I try, seems I always end up back at the Mac store or Mac counter.